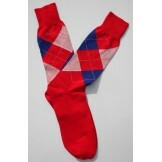 Red, White & Blue Cotton Argyle Dre..
! 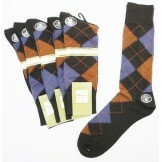 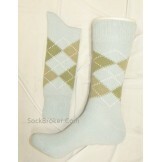 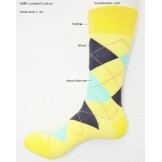 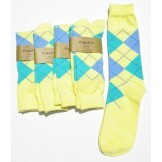 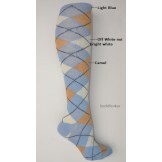 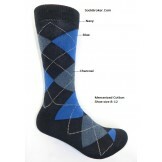 !Sale Light blue argyle socks for ..
Light blue with white camel argyle ..
Brown and light purple argyle socks..
Cotton light yellow argyle socks wi..
Cotton yellow black aqua argyle dre..
Navy blue charcoal mercerized cotto..
Argyle socks have a long history that go back hundreds of years to the royalty wars of eaurope. 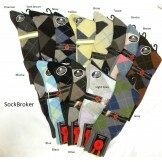 Many kings would wear the colors and patterns of thier flags on thier socks, most of the flags at the time were diamond shaped thus comes the argyle pattern on socks.